If you are someone who meticulously follows the fashion circuit, being up-to-date with the changes in the trends will surely be your thing. From updating your wardrobe with the latest fashion trends to browsing through pictures of celebs sporting those trends, you must be doing it all. However, how about we give you a peak in the latest fashion trends that will rock the coming season a bit earlier? Yes, you read it right! Here are some fashion trends that will rock the summer season. Go ahead and be the winner of the fashion game with these latest fashion trends. As summers approach, we all start craving for light and flowy clothing items. What better than a flowy dress in tie-dye? This print was a hit back in the 90s and is again all geared up to rule the fashion circuit. 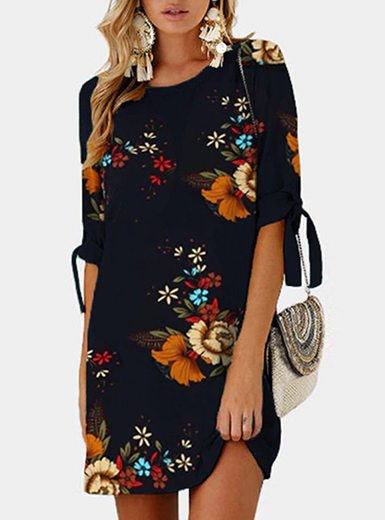 From shirts to skirts and dresses, this print is a hit among all types of clothing pieces. If you are all set to feel the summery vibe, make some space for tie-dye in your closet. The unusual and artistic style of dressing is here to stay. From wearing a crochet top with bell sleeves to a maxi dress in maroon with embroidered detail, you can do it all. Throw in a few handmade bangles and long chains to complete the look. The look that chunky jewellery imparts to the overall appearance is worth noticing. Winters were all about oversized jackets and much like them; summers will be about shirts that are two sizes big. Whether you want to add a belt or wear it with tight stockings or leggings, oversized shirts will never fail to create their magic. Pair it up with sneakers or pencil heels, and you will stand out of the crowd like no one. Trust us, oversized shirts in all materials will rock the fashion game this season. Florals never go out of fashion and just like that, floral beauties will keep rocking the fashion circuit. From flowy tops to dresses and scarves, everything in floral will become your best outing partner. A white floral crop top, when paired with a light blue pair of denims, will surely make heads turn while keeping you cool. So, bank on a few floral pieces to breeze through the summer like a boss. It was the 90s when high waist jeans were a superhit. All the ninjas of the fashion world were going gaga over this new jeans trend until the low-waist fashion came into the picture. We all thought that high-waist denims would never find a place in the fashion world again. However, it was 2018 when suddenly our favourite divas were spotted flaunting these long-gone beauties. High waist jeans and trousers are back and how. So, if you still don’t own one, it’s time you go out on a shopping spree. Just like there are jackets and blazers for winters, summers have their own version – shackets. They look like a blazer or jacket, but are made using a cloth that is favourable for summers. Whether you want to pair a shacket with your sheath dress or with a pair of denims and tank top, the choice is yours. The print you should bank upon to go with every dress is checks. This print looks elegant in all colours and brings out the best in you. There was a time when aviators and wayfarers were the most banked upon choices of those who couldn’t step out without their glasses. Well, times have changed, and there are a whole lot of shapes available in the market. From John Lennon style to oval, cat-eye and what not, there are sunglasses available in every shape and size. So, it’s time to upgrade the collection, right? These latest fashion trends will make you win some serious style points within your fashion group. For more juice on what’s hot and what’s gone in the fashion world, you can head to digital platforms like Momspresso. Such platforms offer expert beauty and fashion tips that are currently creating a buzz in the industry. I love high waist denim!